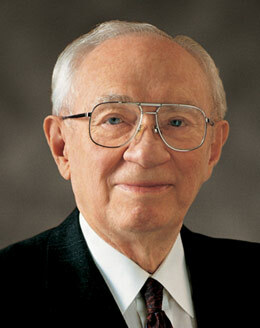 These are just some of my favorite quotes from President Hinckley ENJOY! "Polish and refine whatever talents the Lord has given you. Go forward with a twinkle in your eye and a smile on your face, but with great and strong purpose in your heart. Love life and look for its opportunities, and forever and always be loyal to the Church." "You are creatures of divinity; you are daughters of the Almighty. Limitless is your potential. Magnificent is your future, if you will take control of it. Do not let your lives drift in a fruitless and worthless manner." "...we form each day the stuff of which eternity is made." "Do your best-one day at a time." "To you young women, you of the noble birthright, you the hope of the Church of Jesus Christ of Latter-day Saints, you the mothers and grandmothers and the great-grandmothers of the sons and daughters of Israel who are to come: Keep yourselves worthy of the blessings of God. Keep yourselves pure and virtuous and good and decent and sweet and wonderful; and as a servant of the Lord, I don't hesitate to promise you that you will be loved and respected and honored, and you will be grateful to get on your knees with tears in your eyes and thank your Father in Heaven for His watchful care over you and for the marvelous blessings that will be yours."